If you have found yourself on this page it is probable that you are interested in implementing a security camera system for your home or business. Though this may seem primarily an incredibly daunting task, installing a surveillance system is actually fairly easy and can be done even by those who are not especially electronically savvy. This guide will assist you in determining which security cameras are best for your needs, then will guide you through the installation process. When determining which type of security cameras you should purchase or rent, you must keep in mind the conditions to which your cameras will be exposed and the purpose they will serve, as different cameras can better serve certain situations. Choosing the most compatible camera type will ensure optimal protection and observation ability, giving you the best possible tools to watch over your targeted area. Many cameras now come equipped with anti-vandalism technology to eliminate costly repairs that often come as a result of criminals attempting to disable observation or simple acts of destruction. Dome cameras, for example, usually are protected by a very thick, impact-resistant plastic covering that still allows for clear video streaming. 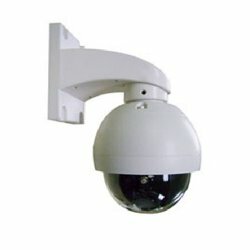 Arm-mounted cameras also commonly have a vandal deterrent, running wires and cables through the mount directly into the wall, rather than leaving these exposed and susceptible to cutting. You also should consider to which conditions your cameras must be exposed. Cameras that must observe in dim or dark conditions should probably come equipped with infrared abilities. Infrared cameras will usually have the abbreviation “IR” within the model name, allowing you to easily distinguish. Infrared security systems are significantly more expensive than regular cameras; you should stray from this type of camera if observation is required only during the day or otherwise brightly lit conditions. There are two major types of security cameras available on the market. Dome cameras are half-spherical in shape, with the lens pointing away from the wall on which the camera is mounted. These are usually mounted on ceilings where they are able to observe a wide radius of activity. The other major type of camera utilizes a bracketed arm to support the camera body, creating a classic security camera style. Both of these camera types are able to adequately observe an area and stream video, but your particular situation may call for one type rather than another. When preparing to install your security camera system you should consider the installation process as two separate parts. The installation of the camera and accessories is one aspect, but you must have a method of viewing a video stream as well. A television can be used to view video streams, but this requires a DVD player or VCR to record footage. As wireless technology has advanced has far as it has currently, most tend to utilize computers and virtual storage as a means of viewing and recording security camera footage. Should you choose to use a television as a means of watching your video stream, you will also need to procure a DVD player or VCR so that you are able to record footage. Not everyone can afford the amount of blank DVDs or VHS tapes that this requires, so many choose to simply not record any footage. However, being able to view past events makes for a much easier and faster resolution should your property fall victim to crime. If you prefer the virtual route of observing of recording security camera footage, a television and media player can be replaced with but a laptop or desktop computer. Not only is recording a video stream far less complicated and free of cost, but computers also require less wires and physical space to operate, saving you hassle, time, and money during installation. Your viewing station should be located somewhere private and comfortable. You should be able to lock away your computer or television, barring potential criminals from entering and disturbing your viewing station. You should also be able to sit comfortably when you wish to watch a live stream from your surveillance system, thus a cushioned chair is also an integral aspect of an efficient viewing station. Rapid access to an emergency exit and proximity to the kitchen are the only other things you must consider! The next portion of the installation process is the mounting and wiring of your actual security cameras. Each model of security camera must be handled slightly differently, with installation variations outlined in instruction manuals. You probably will need a variety of tools to mount your cameras, including hammers, screws, screwdrivers, and probably a ladder to reach ceilings and lofty sections of wall. If you do not have access to such materials, you may want to consider hiring a professional hand to complete the task. Before mounting your cameras, however, you should ensure that all necessary holes have been drilled to accommodate wires and cables. Some systems will require no drilling and others are completely wireless. A majority of surveillance cameras, however, require wires for operation and must be considered during installation. Any holes that are drilled should lead directly to the viewing station, allowing easy connection between the two major sections of your surveillance system. Once you have mounted your cameras and made accommodations for all necessary cables and wires, you must connect the two sections of your system. Using the instruction manual for your specific model of security camera, utilize the included or store-bought cables to bring life to your security camera system. After you have connected all wires to their respective destinations, power on your cameras and viewing medium to ensure that all works properly. Even after you have completed the majority of your installation there are a number of things you can do to improve your surveillance system and increase effectiveness. Implementing even one of these simple improvements can vastly enhance your security cameras’ ability to deter theft and other forms of crime. 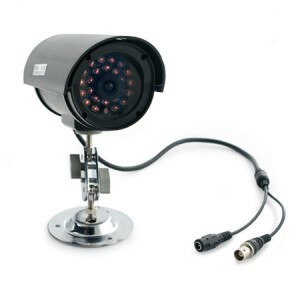 Among the most popular accessories for security camera systems is the phony camera. Fake security cameras are so widespread that a majority of cameras seen in major corporate outlets are not actually operational. Most people are even aware of this fact, but the possibility of a legitimate video stream deters a great amount of crime. Phony surveillance equipment is incredibly cheap; those on a budget often use only a single fake camera to protect against theft! Wired cameras must have outgoing cables, which often are left exposed and susceptible to cutting in the event of a crime taking place. To ensure the operational status of your security cameras throughout a crisis, wires should be hid within the confines of the camera mount or the wall on which the camera is mounted. Many types of surveillance equipment include a method of tucking away wires, but even without a stock system this can be easily accommodated for. Infrared was discussed earlier in this article, citing such abilities as an unnecessary expense when observing during exclusively bright conditions. If the extra expense is of no consequence, however, then infrared technology should be included on every camera in your arsenal. Power can go out, lights can cease to work, and criminals can even cut electrical wires to give themselves a darker background with which to work. IR cameras ensure that clear video streaming continues even if darkness should befall your targeted area unexpectedly. The installation of a surveillance system is an expensive venture regardless of how valiantly you strive to be economical. There are several major tips that can help you save a great amount of money, especially over an extended period of time. Saving money when installing a security system is markedly more important if you regularly assemble and install surveillance equipment. Although security systems tend to operate every waking second, you should be sure to power off any accessories or cameras that need not be left on throughout the night. Power off as much equipment as possible, especially during your absence. Reducing the amount of time you have electrical accessories plugged up and sucking energy also reduces the figure on your monthly electrical bill. If you are considerably experienced with surveillance system installation you can conserve a significant sum of money by performing all labor yourself. Hiring a professional hand to complete the installation saves yourself hassle, but electricians charge a huge hourly fee. By outsourcing this labor you also risk the possibility of unknowingly hiring an incompetent or dishonest worker, something you need not worry about if you are able to complete the installation yourself. 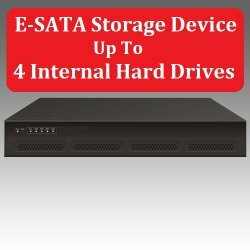 Virtual storage and the utilization of computers rather than television sets has been covered before briefly, but it must be once again mentioned as these are great ways to conserve funds. By using a computer as opposed to a television you can record video streams for free, rather than having to purchase blank DVDs and VHS tapes. If you plan to rarely or never record security footage, however, a television set may prove to be the cheaper option. Regardless of which cameras you choose to implement, how you decide to install them, and which viewing medium you wish to use, be sure that all works properly and as intended. Should you find any equipment to be defective you can probably seek a full refund or replacement via the manufacturer’s warranty.